Greetings from the new face in the East. I would like to welcome and congratulate the new officers of the Bodies on their installations and thank the members of the Valley of San Jose for the opportunity to serve as Venerable Master. This year has promise to be interesting and productive. The Scholarship Program will select our second scholarship recipient. 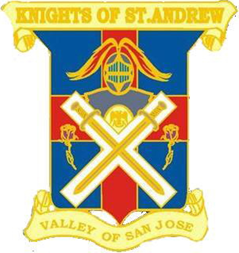 Applications have been distributed to the public high schools in the Valley of San Jose and it has been posted on our web site. Brethren are continuing to seek further light in Masonry by taking part in the Supreme Council’s self study Master Craftsman program. 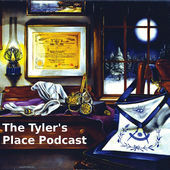 This program provides a directed study of origin of Scottish Rite Masonry and an in depth look at the degrees. The Supreme Council is working on an advanced study program that should be internet based. Further learning opportunities started last year with our first Night of Instruction spearheaded by Bro. Chuck Cowden. 2009 will see Nights of Instruction with a festive Agape dinner of the third Tuesdays of March, May, July and September. All the evenings except for September are for Scottish Rite Masons only. September will be open to any Freemason and might be an opportunity to show non Scottish Rite Masons the Valley of San Jose in action. Reservations required. Another new item this year is our Valley’s participation in the June Regional Reunion which will take the place of our Spring Reunion. This, I believe, is only the second one. It will take place at the Long Beach Bodies in the second week of June, the schedule and details are still evolving. We will present one of the degrees but the Reunion Committee hasn’t confirmed if it will be the 29th or 31st. The candidates will be able to see all degrees, from the 4th through the 32nd conferred, fully staged! This is also a chance for members to see all the degrees using the new rituals and meet Brethren from other Valleys throughout the West. Finally, if you have not attended a stated meeting and dinner in San Jose or your local Scottish Rite Club meeting or activity in your area, please try and make one this year. Contact the Secretary’s office for information about the Master Craftsman program, Regional Reunion, reservations for the Nights of Instruction and Agape dinners and Stated Meeting dinners.